Willis of Wisconsin committed to growing the creative economy in Appleton! Companies understand that creative placemaking contributes to a happier, more engaged workforce. That's why they support the work of the Creative Downtown Committee. 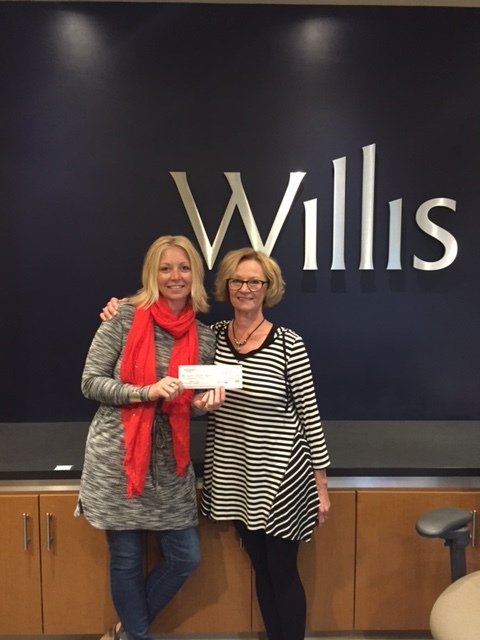 We are thrilled to recognize Willis of Wisconsin as our first Corporate Placemaker for 2015! Their grant of $1,000 will bring new public art to downtown for the entire community to enjoy. At the same time they are helping to make Downtown Appleton a more fun, creative place, they are also making the Fox Cities a more attractive destination for existing and future employees to live, work and play. Not only is it good business, it's the right thing to do. Creative placemaking turns ordinary public spaces into engaging community places. It brings people together and inspires connections in a way that makes people want to stick around and come back again some day. This contributes to loyal employees for local businesses and return visitors to our city.